Visiting for a workshop at EPFL, the hotel is close to Lausanne main station, and 5 m (sic!) 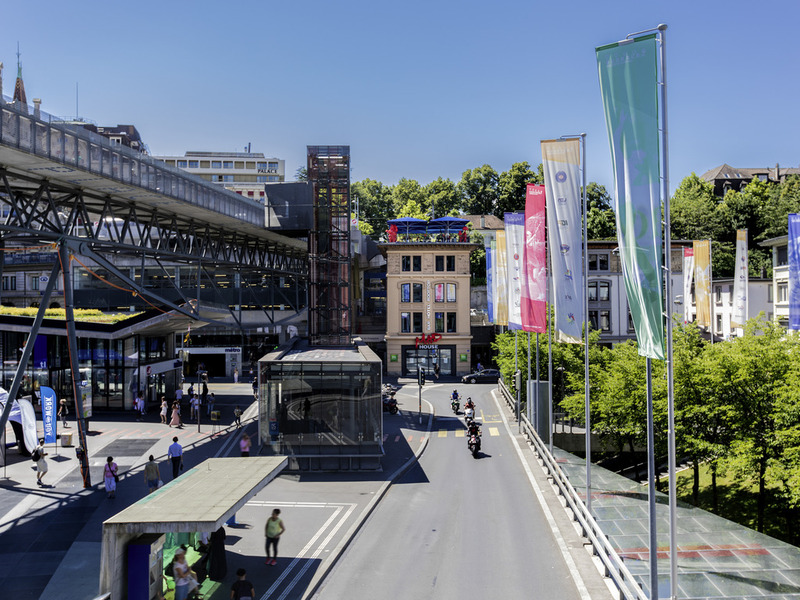 from Lausanne-Flon metro station towards EPFL and SwissTech Center. Great concept of clubbing atmosphere without being noisy. Great breakfast. The hotel is nice, cool setup, the staff is very friendly but 2points the 1st the price of the first night was extremely high seeing the overal standard, comfort and room quality of the hotel. This leads me to the 2nd point as soon as someone starts moving around in a room next door, you can forget trying to sleep. This hapened on the first night as a drunk person started opening his door 6 times just to allow it to slam shut, and then I will not talk about the noise he made in his room. Hotel in perfect location for going anywhere in Lausanne. Very good and very affordable breakfast. Small rooms, noisy environment. Price okay. Polite and helpful staff. Status not considered at check in. Pleasantly surprised, fairly affordable hotel with excellent location. Friendly staff, nice room and fun perks. However room facing Flon roundabout made for some very noisy evenings and somewhat hard to sleep. I would stay again, but only if I could get a room further away from the street. There was a really good atmosphere, I enjoyed the great music and it is in a good location. However, the noise from the Bar and the street was very loud in the room, this made for a broken night's sleep. It would not put me off staying again, I'd just bring earplugs. However, I'd recommend you provide earplug in the rooms for the few cents it would cost. The first room was way too hot, ventilation or opening of windows is not possible. The staff was very nice and friendly. They gave me a second room, which was quite noisy. Overall, I think the price for value is not good. CHF 160 for a very small room and this comfort is not fair. If it was maybe < CHF 100 I wouldn't say anything. And I am used to high prices, I live in Zurich. Really enjoyed staying at this beautifully designed hotel! This hotel is so full of little details that I was surprised every time I took a closer look. Design elements everywhere,free gifts and a very tasteful decor made me feel so welcome and comfortable! Staff is wonderful and very friendly. This place has such a good vibe and the location is just perfect and so convenient! Loved staying there,felt like a home to me. Thank you for making my stay so enjoyable! This is a lovely and small hotel with perfect location for local transport; bars and restaurants nearby. The rooms are very small but smartly designed and very comfortable. There is a bar downstairs (another one on the roof). Smoke from the bar downstairs comes in the room (my room faced the front, other rooms might not be affected), which I found rather unpleasant. Otherwise this is a great choice. Very comfortable stay with extremely welcoming staff! Great place, lovely rooms and great staff. Only the bathrooms are a little cramped. Will stay again!